James Eugene Carrey – better known to us as Jim Carrey – is a Canadian-American actor, comedian, impressionist, screenwriter, producer and painter. He is known for his energetic slapstick humour and performances, and later, for his more serious dramatic roles. Carrey was born in Newmarket, Ontario, Canada, in 1962 to parents Kathleen, a homemaker, and Percy Carrey, a musician and accountant. He was raised a Roman Catholic and has three older siblings, John, Patricia, and Rita. His mother was of French, Irish, and Scottish descent and his father was of French-Canadian ancestry (the family’s original surname was Carré). Carrey first gained recognition in America in 1990 after landing a recurring role in the sketch comedy television series In Living Color. He got his professional start doing stand-up in Toronto comedy clubs. He later moved to Los Angeles, where Rodney Dangerfield saw him perform at The Comedy Store and signed him as an opening act. How many films has Jim Carrey been in? Jim Carrey has starred in at least 44 films. His first leading roles in major productions came with Ace Ventura: Pet Detective (1994), Dumb and Dumber (1994), The Mask (1994), and Ace Ventura: When Nature Calls (1995), as well as a supporting role in Batman Forever (1995) and a lead role in Liar Liar (1997). He gained critical acclaim starring in serious roles in The Truman Show (1998) and Man on the Moon (1999), with each garnering him a Golden Globe Award for Best Actor. How much is Jim Carrey worth? 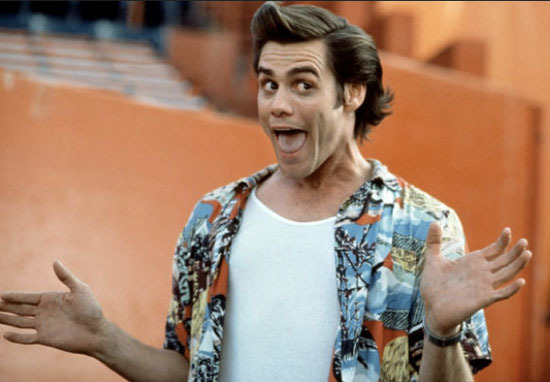 CelebrityNetWorth have estimated that Jim Carrey’s net worth is around $150 million. He reportedly earned $20 million for starring in The Cable Guy, which a the time set a salary record among comic actors. Yes. Before Jim Carrey was due to face a ‘wrongful death’ trial where he was accused of providing the drugs which led to the suicide of his then girlfriend Cathriona White in 2015. During a recent trip to a centre led by a Jesuit Priest which helps rehabilitate former gangsters, Carrey admitted the past few years had presented ‘challenges’. But he went on to share a deeply spiritual thought covering Jesus, the cross, forgiveness and even God. Carrey is a believer in the law of attraction, a philosophical idea that by focusing on positive or negative thoughts a person brings positive or negative experiences into their life. Does Jim Carrey own Coco Bongo? The Coco Bongo is a fictional nightclub in his early smash hit film The Mask. But in real life it is also the name of a nightclub in Cancun, Mexico that is owned by Jim Carrey himself. How many children does Jim Carrey have? Jim Carrey has one child, a daughter, named Jane Erin Carrey. She was born on September 6, 1987, and is aged 31. Her mother is Melissa Womer, who Carrey was married to between 1987 and 1995.
Who has Jim Carrey been married to? Carrey has been married twice, first to former actress and Comedy Store waitress Melissa Womer, whom he married on March 28, 1987. Jane was a 2012 contestant on American Idol and Carrey and Womer divorced in 1995. A year later, on September 23, 1996, Carrey married his Dumb and Dumber co-star Lauren Holly; the marriage lasted less than a year. In the 1990s and early 2000s, Carrey had short-lived romance with his Me, Myself and Irene co-star Renée Zellweger, to whom he was engaged from 1999 to 2000. Carrey met model and actress Jenny McCarthy in 2005 and made their relationship public in June 2006. The pair split in April 2010. What happened to Jim Carrey? 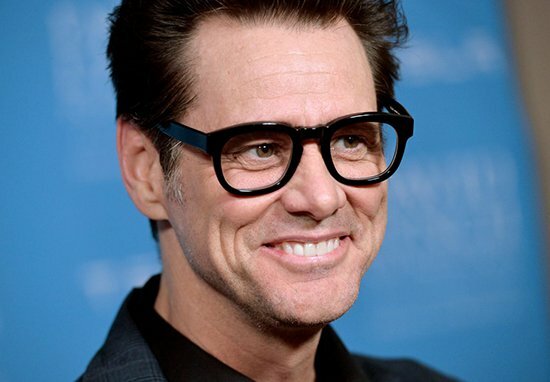 Following his trial for the wrongful death of his ex-girlfriend Carol White, in which he was cleared over claims he may have contributed to her suicide after a judge sensationally dismissed a wrongful death suit, Carrey has remained largely out of the limelight. The Netflix documentary the Jim and Andy: The Great Beyond (2017) focused on behind the scenes footage and events during filming Man on The Moon where Carrey embodied Kaufman in method acting pushing it to the extreme. The film explored how his mental sanity and health started to unravel during the biopic. Carrey began painting in 2012 and last year, he held his first exhibition, Sunshower in Los Angeles. Jim Carrey is now a prolific artist. Has Jim Carrey won an Oscar? No Jim Carrey hasn’t won an Oscar and famously, the comic actor has not been nominated for an Academy Award, with many believing this is due to his zany, slapstick style of acting. However, Carrey did win a series of Golden Globe awards, notably Best Actor for Man on the Moon and The Truman Show. He was also nominated for Best Actor Motion Picture of Comedy for his role in the science fiction, break up drama Eternal Sunshine Of The Spotless Mind.